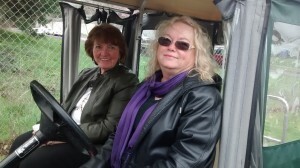 Auction Masters and Appraisals was founded by Alan and Marjorie Ehry in 1988. Both their families had been in the auction business in Oregon reaching back into the 1930’s. John Ehry, Alan’s father owned and operated his first auction in Creswell, Oregon in 1941 and later in Corvallis. He specialized in general merchandise and farm auctions with two sales a week, which is where Alan started as an auctioneer. Marjorie also grew up in an auction family. Her mother and father, Max and Marjorie Groesbeck, began in the late 1930’s, specializing in farm and livestock auctions. Her brothers Jim, Ken and Richard all were involved in the auction business. Family sticks together: After they were married, Alan helped as an auctioneer working with Marjie’s brother Richard, who carried on their family tradition in Jefferson, Oregon with his business, Groesbeck’s American Antique Auction. For 25 years, Richard had sales on holiday weekends, reaching dollar values of over two hundred thousand for antique glass and furniture. The family tradition continues as Marjorie leads a team into the future. 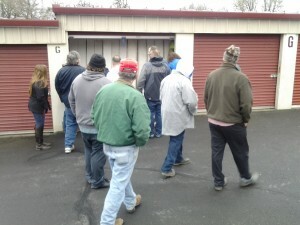 Auction Masters operate a variety of auction types and is available year round. We specialize in “on site auctions”- we come to you for many sales events, including auctioning of Storage Units, Antiques, Heavy equipment, Cars and trucks, Estates, Farm auctions, some Livestock, and all types of Businesses.